At Rolling Stone Farm, we feel that the success of any breeding program begins with the quality of the broodmares used. As such, we have spent years assembling one of the finest bands of Hanoverian mares in North America. Each mare has been carefully considered for her ability to produce exceptional sport horses when crossed with the proper stallions. Many of our mares have been imported from some of the best stock in Germany; others are descendents of our proven foundation mares who have produced multiple breed show and under saddle champions, stallion prospects and Elite and Elite Mare Candidates. RSF is a firm believer in the value of performance testing mares at a young age to evaluate basic gaits, rideability and athletic talent. 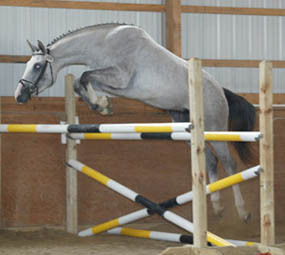 Nearly all of our young mares are prepared for their inspections and mare performance tests as three-year-olds, and a high percentage of them have achieved Elite or Elite Mare Candidate status with little over 90 days under saddle, testifying to the emphasis we place on high rideability and excellent natural gaits in our breeding program. 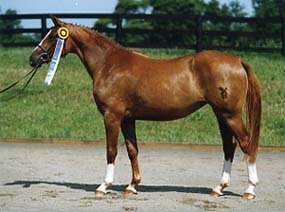 Click on the Current Broodmare List for detailed information and photos of each mare and her offspring.